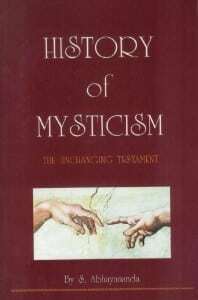 History of Mysticism – The Unchanging Testament by Swami Abhayananda is an authoritative history book on mysticial experiences. Other books and articles by Swami Abhayananda may be read and freely downloaded on his website at: www.themysticsvision.weebly.com, he has graciously allowed us to offer them here as well. Throughout succeeding ages mystical expericences were echoed by others who had experienced the same realization: “I am the Truth!” exclaimed the Muslim, al-Hallaj; “My Me is God, nor do I recognize any other Me except my God Himself,” said the Christian saint, Catherine of Genoa. And Rumi, Jnaneshvar, Milarepa, Kabir and Basho from the East, and Eckhart, Boehme and Emerson from the West, said the same. These assertions by the great mystics of the world were not made as mere philosophical speculations; they were based on experience so real, that all those to whom it has occurred testify unanimously that it is the unmistakable realization of the ultimate Truth of existence. In this experience, called samadhi by the Hindus, nirvana by the Buddhists, fana by the Muslims, and “the mystic union” by Christians, the consciousness of the individual suddenly becomes the consciousness of the entire vast universe. All previous sense of duality is swallowed up in an awareness of indivisible unity. An authoritative history book on mysticial experiences. i wish the best from god for you.